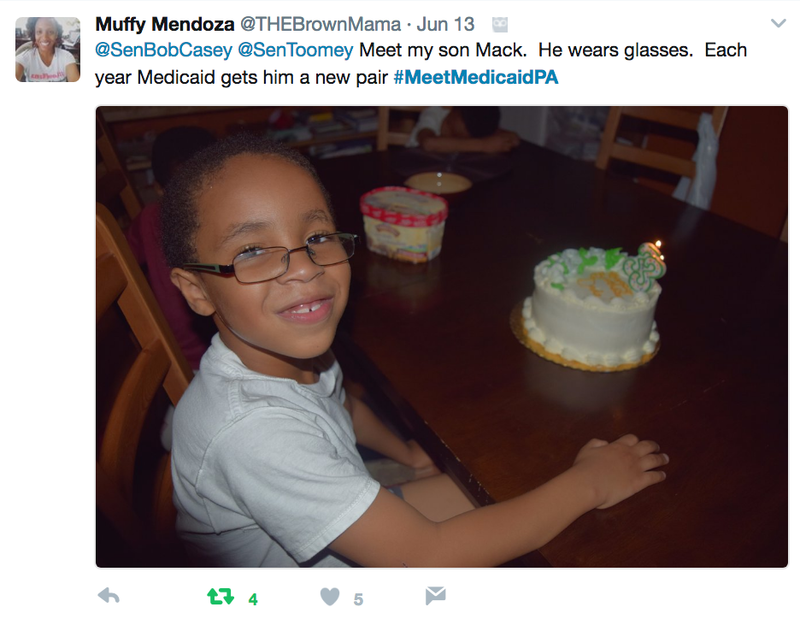 The #MeetMedicaidPA Twitter campaign launched this week to introduce Pennsylvania’s U.S. 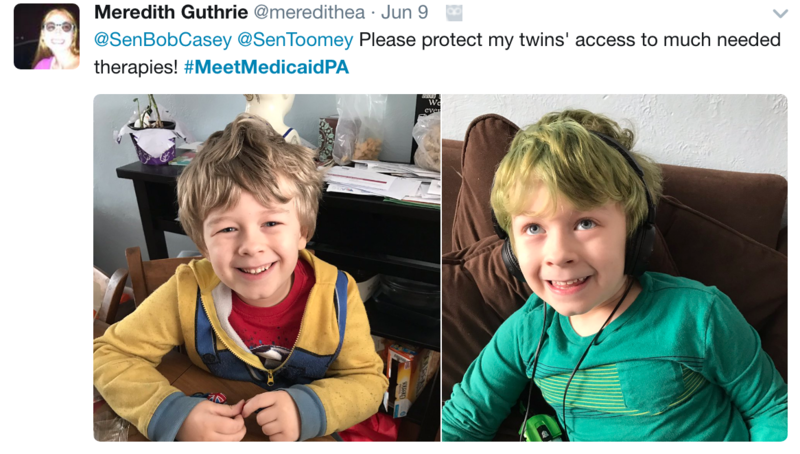 Senators Bob Casey and Pat Toomey to children and families who rely on Medicaid for vital healthcare services. With your help, we can build support for Medicaid and protect coverage, benefits and access to care for all children. By activating families, we can personalize the issue and share first-hand stories about the importance of the program. Perhaps you are a new mother with a premature baby who depended upon Medicaid in the NICU, or you are caring for a child with a disability or chronic illness, such as such as Down syndrome, cerebral palsy or autism. Or, maybe you are experiencing a financial difficulty and cannot afford health insurance for your child. By sharing your story, you will be speaking for hundreds of thousands of families facing the same fear—the loss of Medicaid coverage for their children. New to Twitter? Watch this video to set up and use an account. Although it’s important to hear from children’s health advocates, government leaders would rather hear the message straight from families. 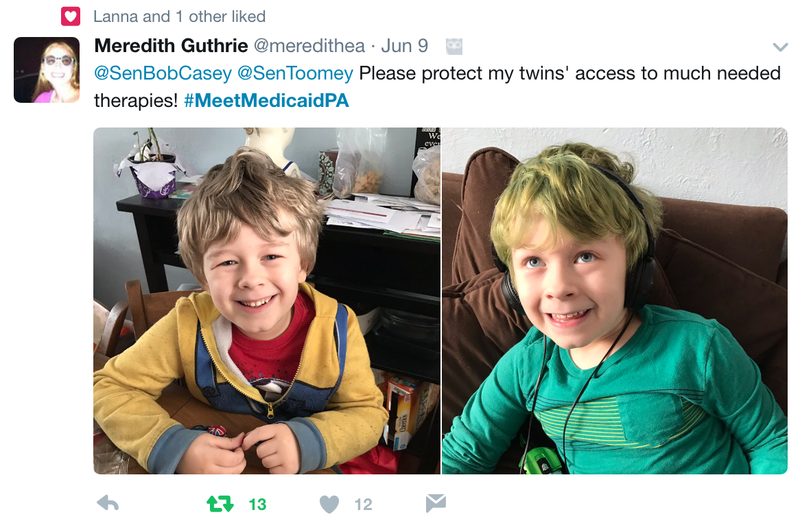 Tweet your story directly to Senators Bob Casey and Pat Toomey. First, introduce your child—Meet child’s name. Second, share a diagnosis, like asthma. Third, share how Medicaid benefits your child. 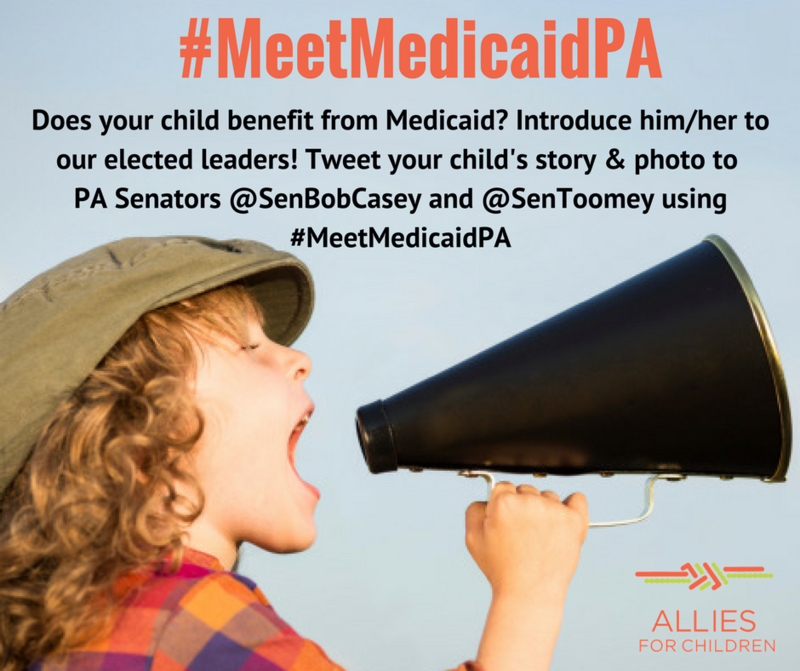 Add #MeetMedicaidPA to every tweet. The hashtag is used to find messages on a particular subject. Be sure to tell others to retweet your stories on Twitter—you can tweet countless times! 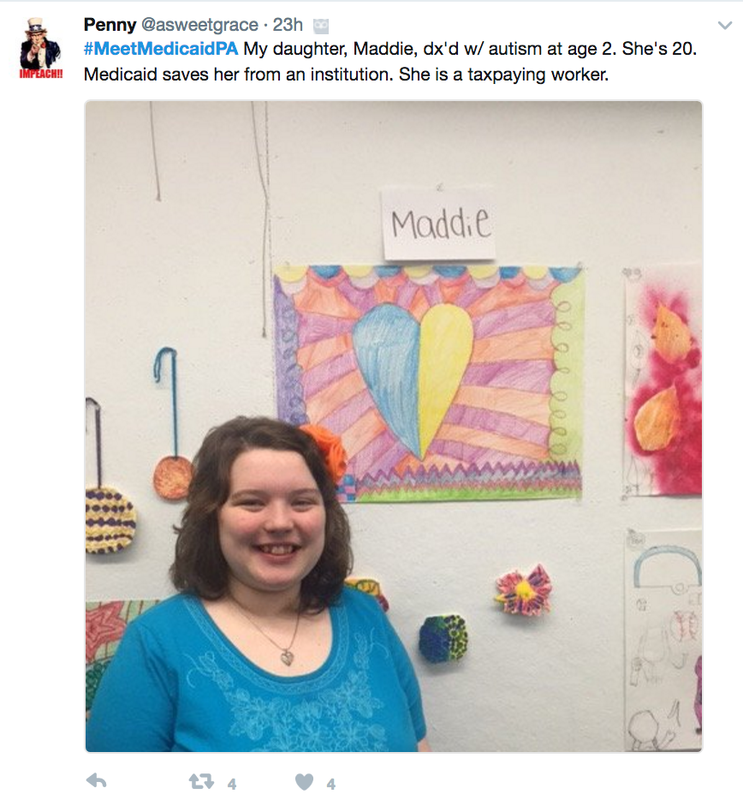 Click here to retweet #MeetMedicaidPA messages. Medicaid, which covers more than 30 million children, provides coverage and services to help them become healthy, productive adults. However, the American Health Care Act (AHCA), as passed by the U.S. House of Representatives, would be disastrous for our children. The bill, which is now being considered by the U.S. Senate, slashes state health care budgets by more than $800 billion over 10 years. If this bill becomes law, we risk damaging the health of a generation of our nation’s children. You can make a difference and help keep the current version of the AHCA from becoming law.